In the land of one hundred thousand welcomes and nestled in the heart of the magical Kingdom of Kerry, Killarney, the ‘little’ town in the park opens its’ doors to you for a welcome night of culture, ‘craic’ and merriment. 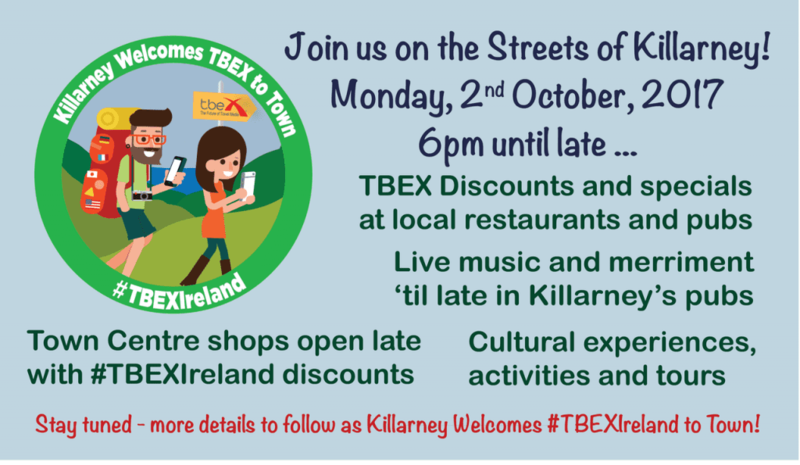 Join us for the Killarney Welcomes TBEX to Town where warm and friendly faces are ready to greet you at over 35 pubs and 80 restaurants located throughout our vibrant and compact centre. Sample locally brewed craft beers named after local myths and legends and meet new friends keen to share stories peppered with local folklore. As the evening progresses, listen for the sound of music in the night air and as you follow it to its source, find yourself immersed in a world where ancient history and modern day cultural treasures collide. 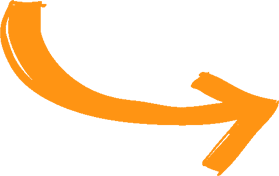 This evening is self hosted. See you on the streets of Killarney from 8 till late… for one heck of a party! Killarney Racecourse is Ireland’s most scenic racecourse and arguably the most scenic racecourse in the world. It is situated within walking distance of Killarney town centre and has panoramic views of Killarney National Park, Ross Castle, The Lakes of Killarney and the McGillicuddy Reeks. On arrival at Killarney Racecourse, guests will be treated to outdoor animation and entertainment enabling some great photo opportunities. Let’s just say that we don’t want to ruin the surprise for our TBEX delegates! 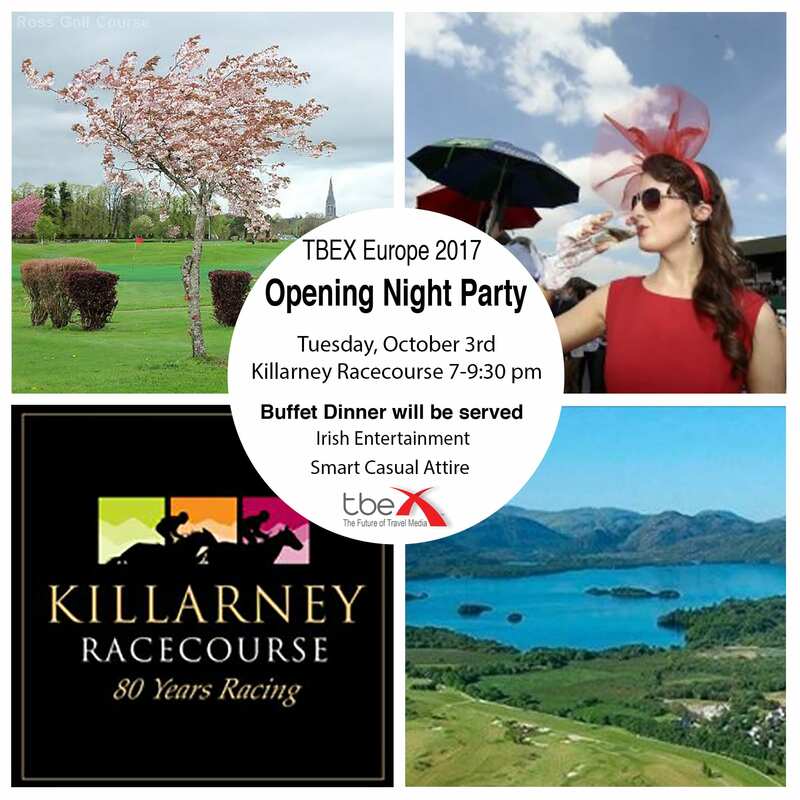 Guests will enjoy their welcome drink and networking with fellow TBEX delegates, before enjoying a buffet dinner which the chefs have created as a specially designed menu showcasing the best of Irish food. The menu will focus on the best of land and sea and will be a true farm to fork experience. *Partially hosted bar followed by a Euro cash bar no credit/debit cards will be accepted. Attire is smart casual, rain jacket recommended just in case! Coaches will depart from INEC at 6 pm and return from the Racecourse back to INEC starting at 9 pm. The Wild Atlantic Way Wrap Party for #TBEXIreland in Killarney will be in classic Irish pub style with an abundance of Ceol agus Craic! 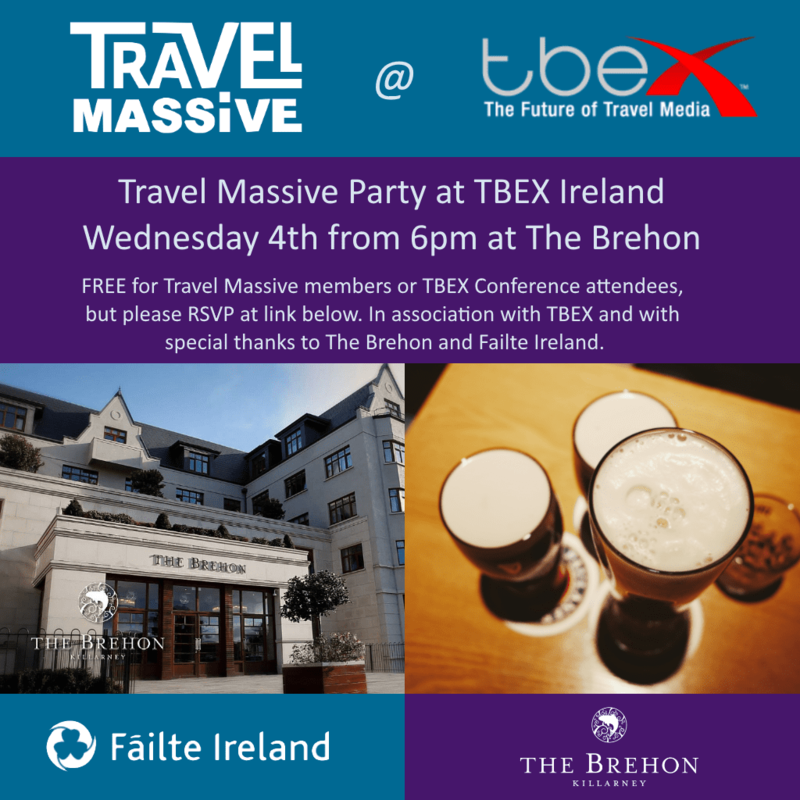 TBEX delegates will be transported from the INEC starting at 7:00pm, after our Closing Keynote, to J. M. Reidy’s Public House in Killarney’s main village. Coach buses to the party will run from the INEC until 8:00pm. 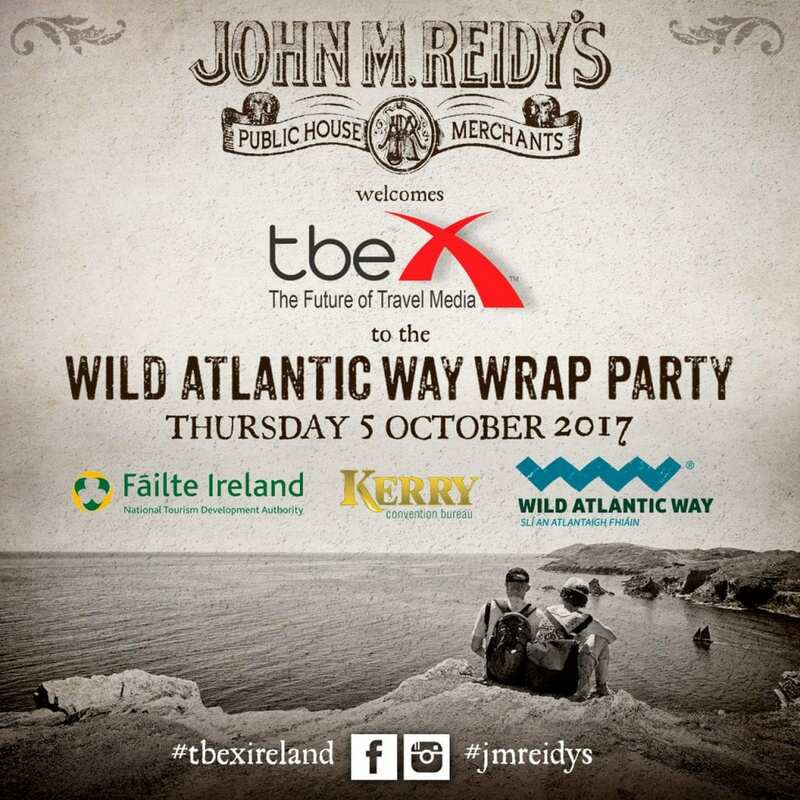 The Wild Atlantic Way Wrap Party is being presented in conjunction with J. M. Reidy’s and Kerry Convention Bureau. first priority for 2017 tickets.